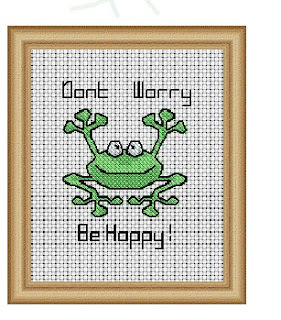 Don't worry be Hoppy frog Cross Stitch pattern. This funny frog would make a great edition to any project you are working on or make it for a friend that loves the little green frogs or just needs some cheering up. The pattern can be viewed or printed in PDF format for free.